Hey guys! Our team at Wicked Wines is excited to embark on its first blogging adventure and we want YOU to come with us on the journey. We are constantly on the move and buzzing all around the northeast – and here [this blog] is where we’re going to tell you about everything we’re up to. From music festivals, to exclusive parties and wine tastings, we’re spotted everywhere! Wicked Wines is just one of the many brands that Global Wines, Inc. imports. We take pride in bringing you unique, authentic, undiscovered, high-value wines from around the world. Global Wines has taken on the exclusive challenge of bringing these new and exciting wines to the New England Market. The basis by which we have selected our wines is focused around personal relationships we have developed with various family-owned wineries around the world. Our continued commitment to discovering superb wines allows us to bring great quality and value to the American market. In the crowded wine market space, Wicked Wines is one of Global’s standout brands. 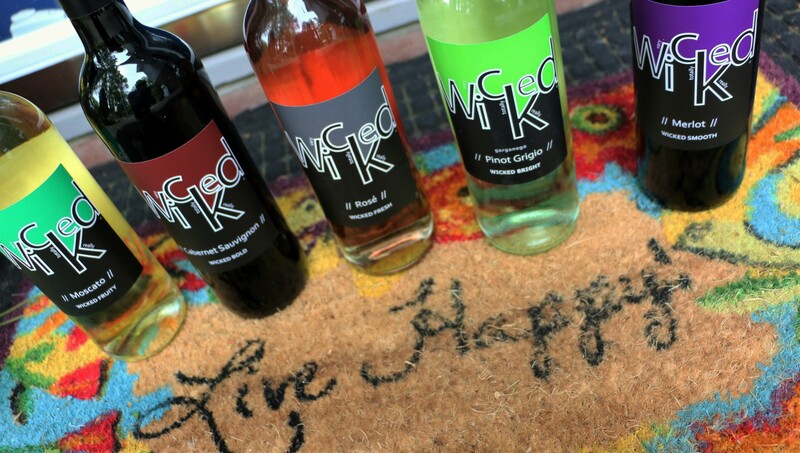 Privately developed for the young, entry-level wine drinker, Wicked Wines is a fun alternative to more traditional, old-school wines. Our wine is more than a fancy beverage to be served with a five-star meal – it is refreshing, fruit-forward and easy to drink! We are continuously working on expanding to multiple states to bring our WICKED cool flavors to you across the nation. Wicked is currently in eight states including MA, RI, NH, ME, CT, FL, IN, IL. Inspired by and designed here in Boston; we are constantly involved in events, festivals and tastings throughout the city we love. Wicked Wines is for more than the typical wine connoisseurs who smell, swirl and critique it; amateur tasters will feel as though they are just as polished and experienced as any other wine guru. These wines, imported from the heart of Spain and Italy, are bottled in an easy access screw cap container keeping your wine fresher for longer. Though a standard 6 ounce pour seems small, our wine still packs a WICKED big punch. We are here to remind you that wine is fun! Check back here weekly to learn about our WICKED where-abouts, who-abouts and what-abouts. Let’s be WICKED good friends! This entry was posted in Boston, Events, Wine and tagged Boston, Events, Global Wines Inc, Wicked Wines, Wine. Bookmark the permalink.